Ernie Watts (tenor sax); Christof Saenger (piano); Rudi Engel (bass); Heinrich Koebberling (drums). I first heard Ernie Watts playing alto on Buddy Rich's famed big band album, Big Swing Face. Impressed was I. In 2012 I was even more impressed when I heard him live, with the above musicians, at Ronnie's. 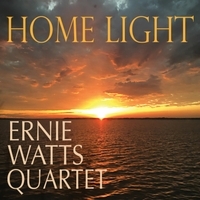 Without a shadow of a doubt, Ernie Watts is the real deal as is this, his latest recording. Blowing tenor, although his light tone could easily be mistaken at times for an alto, Watts lays down the gauntlet. A gauntlet that was, amazingly, not picked up by either readers or critics in the 2018 DownBeat Polls! Presumably, this album came out after the polls had closed. Next year, those with ears will surely plump for Watts in alto/tenor/small group categories. And, unless the electorate finds difficulty in spelling their names, piano, bass and drums, must also be in the frame although, as the album was recorded in Cologne, maybe not. Saenger is comparable with any pianist anywhere and likewise his fellow workers down in the engine room. An album of pure joy. If you go to check it out then try Joe, a tribute to Joe Henderson. Joe would have liked it. Full support concerning Ernie Watts. Also his earlier albums are worth hearing. The ideal stuff for me to get going in the morning.